Anthony Cunningham during his time as Dublin senior hurling selector. Anthony Cunningham has been linked with two vacant inter-county managerial positions in both hurling and football. The Irish Sun reports that the former Galway hurling manager “has emerged as a possible successor” to Kevin McStay, who stood down as Roscommon football boss in September after three years in charge. The Rossies have had no joy in finding a replacement for McStay since the Mayo man’s resignation, with Armagh’s Aidan O’Rourke pulling out of the race recently, and now Cunningham, who was a selector with Dublin's hurlers this year, looks to be a front runner after having managed St Brigid’s to two county titles and a Connacht crown in 2006. 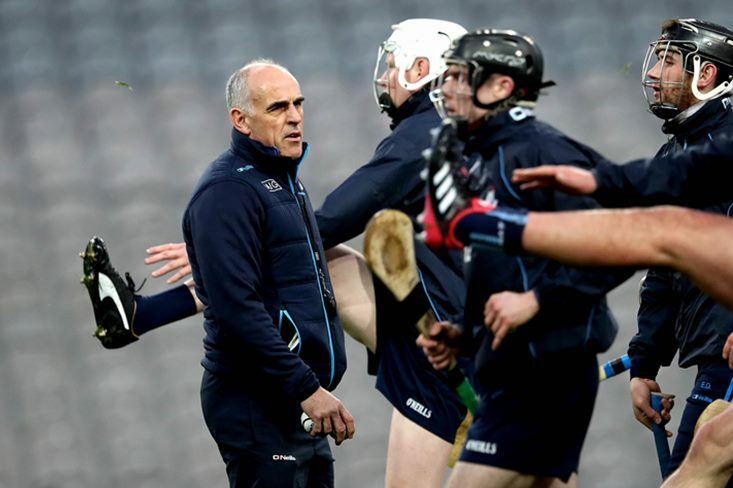 Meanwhile, a report in today’s Irish News indicates that Antrim have “sounded out” Cunningham and ex-Dublin boss Anthony Daly to take over the county’s senior hurlers for 2019. Terence McNaughton and Dominic McKinley led the Saffrons before standing down at the end of last season and while Daly and Cunningham have been tipped as possible successors, it is believed that travelling distance up north could be the biggest stumbling block.